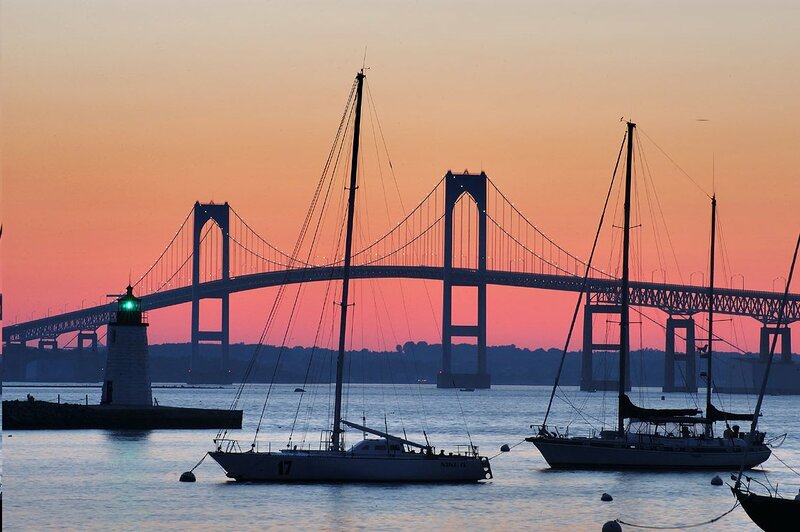 The Claiborne Pell Bridge is named for the guy who brought us Pell grants. 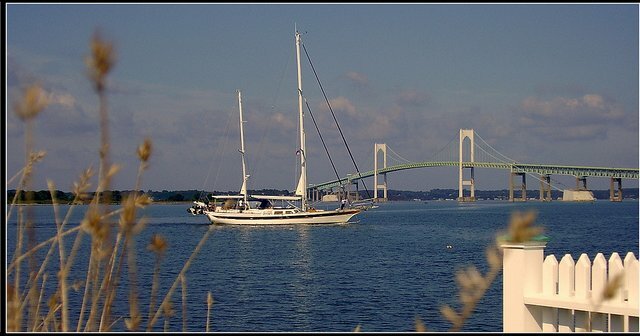 It evokes memories of lazy summers spent in coastal towns and spans the Narragansett Bay in Rhode Island. The bridge is featured on Rhode Island’s state quarter. 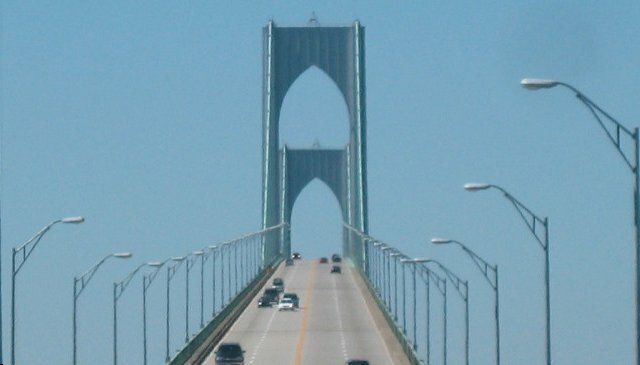 We crossed the bridge on our way to Newport, R.I. As you can see from this photo, it looks like cars will fall into the abyss at the top of the bridge which is 215 feet above the water. The drawbridge at the top caused our car to shimmy and swerve. It was absolutely, positively the most terrifying moment of my life. I totally loved Newport, but I never again want to cross that bridge.